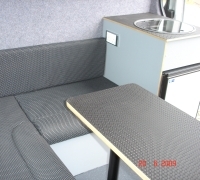 MRC offer specialist skills in the design and build of race truck interiors including living areas and workshop facilities. 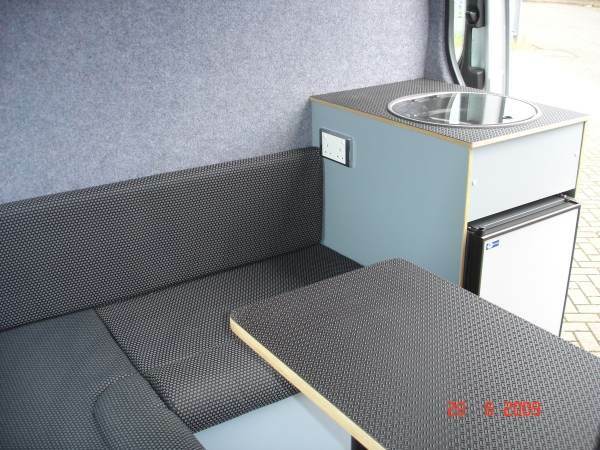 We take on all types of conversion and fitting work – from custom panel van conversions to large A Class motorhomes. 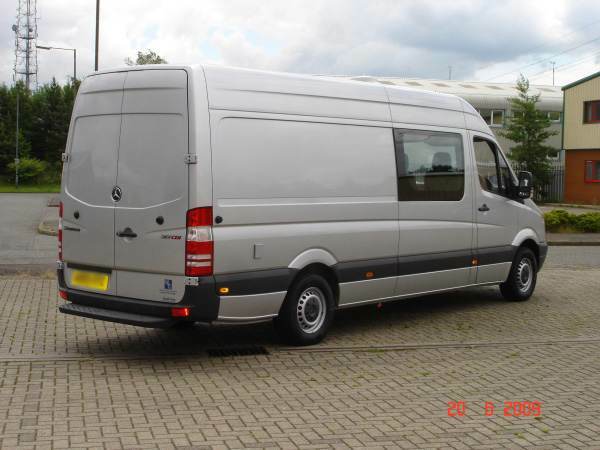 Our knowledge and experience will ensure you get exactly what you need from a race van or truck. 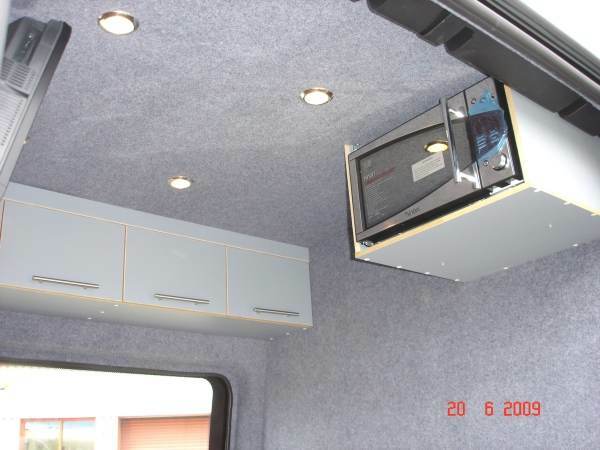 We also undertake modification, refurbishment and repair work. 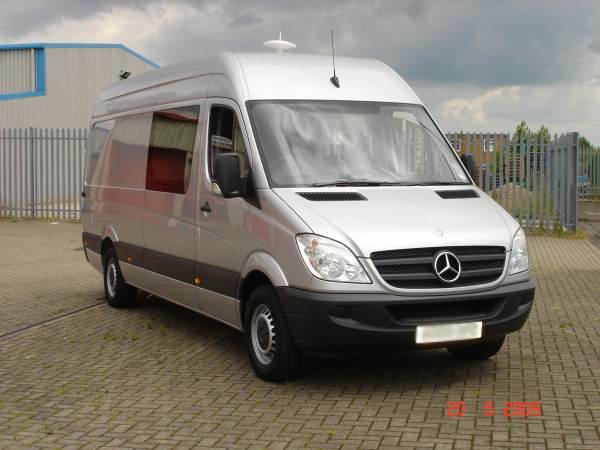 We cover all types of support and transporter vehicles, including sprinter vans, luxury A Class motorhomes, and all sizes of race trailer up to 40ft. 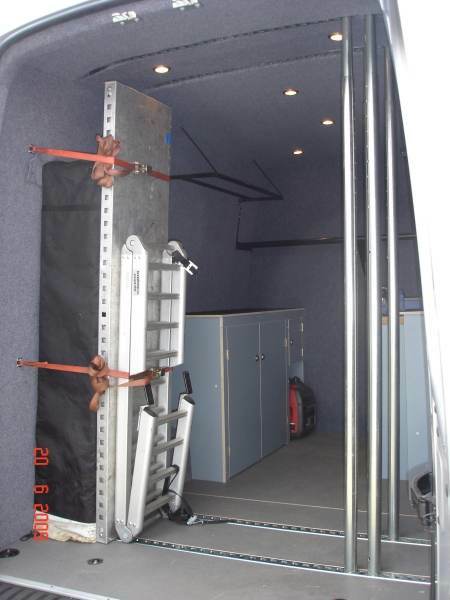 Your first race meeting with a new race truck means you will have extra things to think about – for example setting up the awning. Should the need arise, we offer a support service to customers who are competing at race tracks and kart tracks in the Midlands region. Our expertise in managing the logistics of a race weekend could well prove invaluable, leaving you to concentrate on beating the competition! 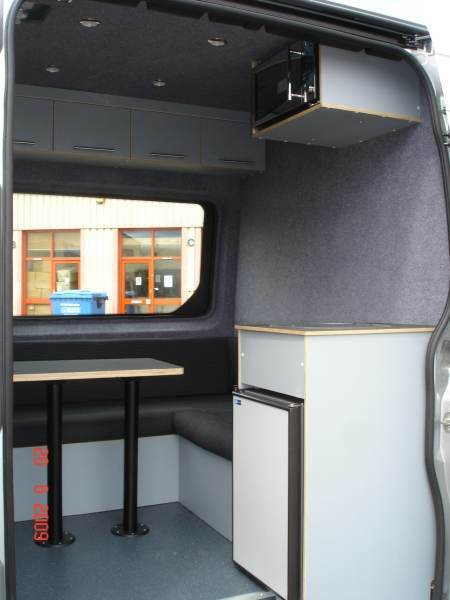 Why choose MRC for your motorsport van conversion? 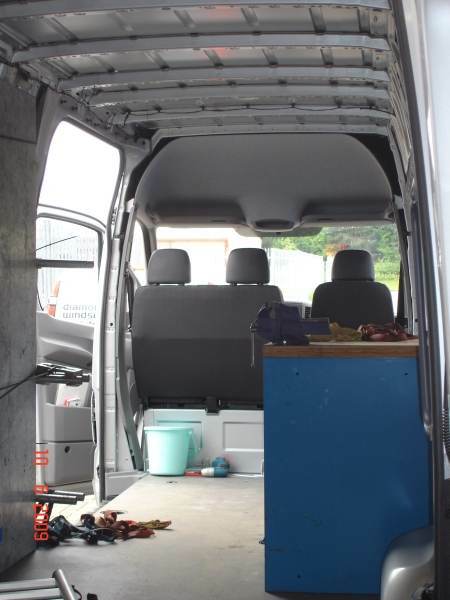 Most of the inspiration for our race van design work comes from our own experience as competitors and mechanics in top level moto-cross. We also provide support services to several successful kart racing teams, including Fusion Motorsport and Vital Motorsport. All this direct involvement has given us a good understanding of what race teams need from their vehicles. For example, we put a great deal of effort into customising the workshop racking so that everything comes easily to hand, especially when “the heat is on” at the track. 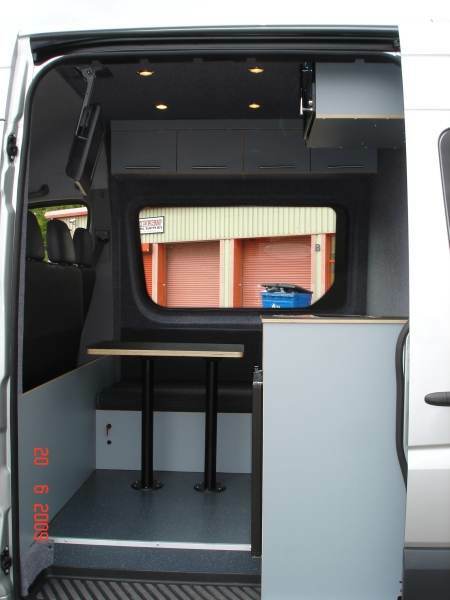 Designing sleeping and eating areas into smaller panel van and sprinter van conversions is not an easy task, but it’s one that MRC regularly takes in its stride. 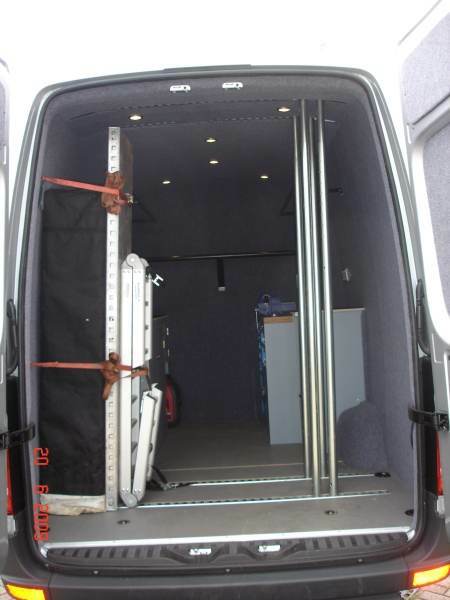 Have a look at the gallery images below to see some recent examples of our work. 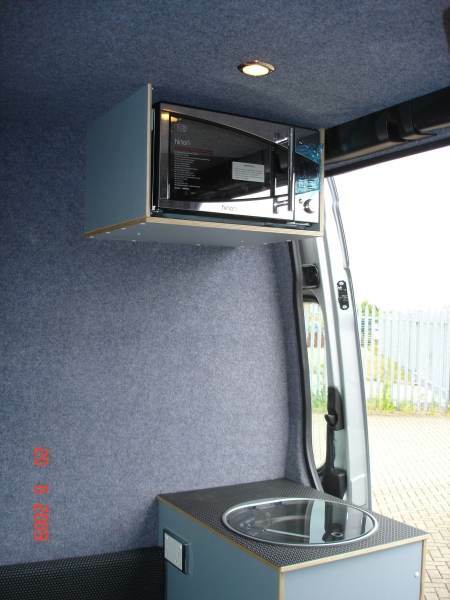 We also specialise in motorhome interior conversions and refurbishment. Get more out of your race weekends with a well organised vehicle – call Mark on 07736 438894 for a friendly chat about your motorsport needs.